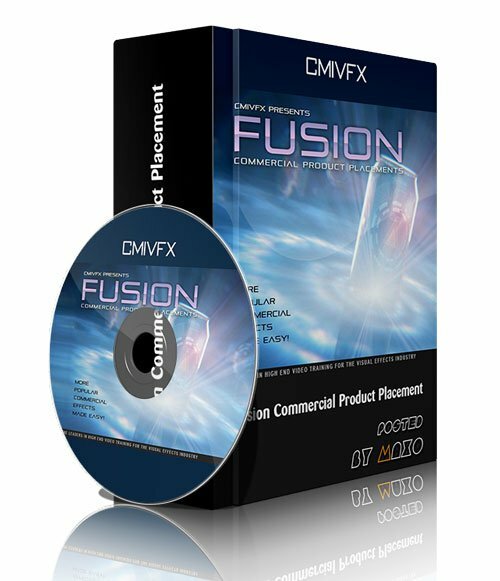 cmiVFX - Fusion Commercial Product Placement » 3Ds Portal - CG Resources for Artists! We've teamed up yet again with our expert mentor Terry Riyasat to bring you even more brand new, high-quality Fusion training! This time Terry will be showing you how to create an eye-grabbing commercial product shot. He'll demonstrate how to use lighting, shading, logo visual effects, particles, textures, lens effects, camera effects, and color correction. You'll learn how to keep up your pace by using an efficient workflow, and when you're all done, you'll have a well-made, versatile shot that can easily be used in a variety of different ways. If you don't already have Fusion, you can now access the brand new free version from our newest vendor partners at _http://blackmagicdesign.com. This has never been available for free before, so get Fusion, get this video, and get one step closer to becoming the VFX master you've always wanted to be!